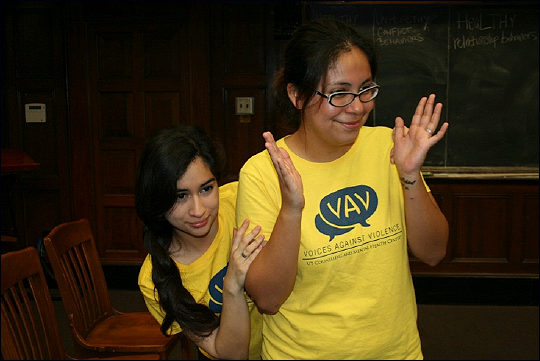 The VAV Theatre for Dialogue performances are presented by undergraduate and graduate UT Austin students who are trained as actor-facilitators working to "Foster inclusive conversations around the prevention of interpersonal violence through performance-based learning."  Those interested in becoming part of the ensemble will benefit from participation in the VAV course sequence as it will prepare you to become a skilled and impactful leader on UT's campus. Previous performance experience is NOT required to be in the class. Students who are interested in the pedagogy but not participate in the ensemble are also welcome! You will learn about issues of interpersonal violence, bystander intervention, and methods of applied and interactive theatre. Credit is available through the School of Social Work, Theatre and Dance, or Women's and Gender Studies, speak with your advisor for more information. Through this class students will be introduced to and participate in the use of applied theatre as a means to increase awareness, advocating and educating others on issues of interpersonal violence including relationship violence, sexual violence, and stalking. Theatre strategies practiced include various interactive theatre approaches (Pedagogy and Theatre for the Oppressed, Playback), personal narrative, auto-ethnography and documentary form. Improvisation as a devising tool will be integrated throughout the course. Max. 20 students. 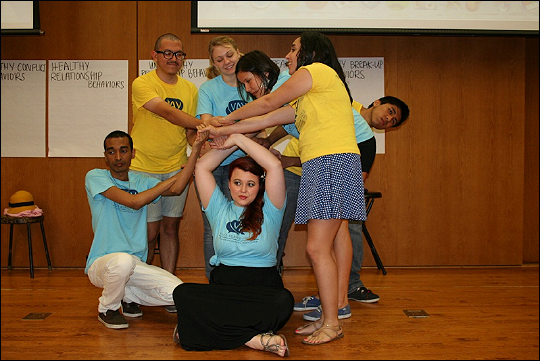 Through experiential learning and community engagement frameworks, students will build and utilize facilitation skills and applied theatre methods to develop a project intended to engage audience participants in dialogue about the issues of interpersonal violence including relationship violence, sexual violence, and stalking. By developing a project through on-campus partnerships, students will engage with diverse populations enabling them to explore best practices and ethical participation in this work. 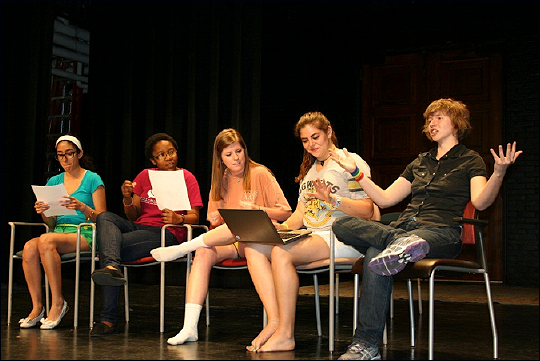 Course work will include facilitating/performing an original, devised program on campus for varied student populations. Requires participation in TD357T.3 or consent of instructor. Max. 16 students.